One of my biggest gripes about folio cases for the iPad is the fact that most of the stand features, whether it is a fold-over cover or a kickstand, only provide the ability to display the tablet in landscape mode, which reduces your viewing options by 50 percent. Fintie makes a rotating folio case for the iPad Air 2 that flips from portrait to landscape with a simple twist. 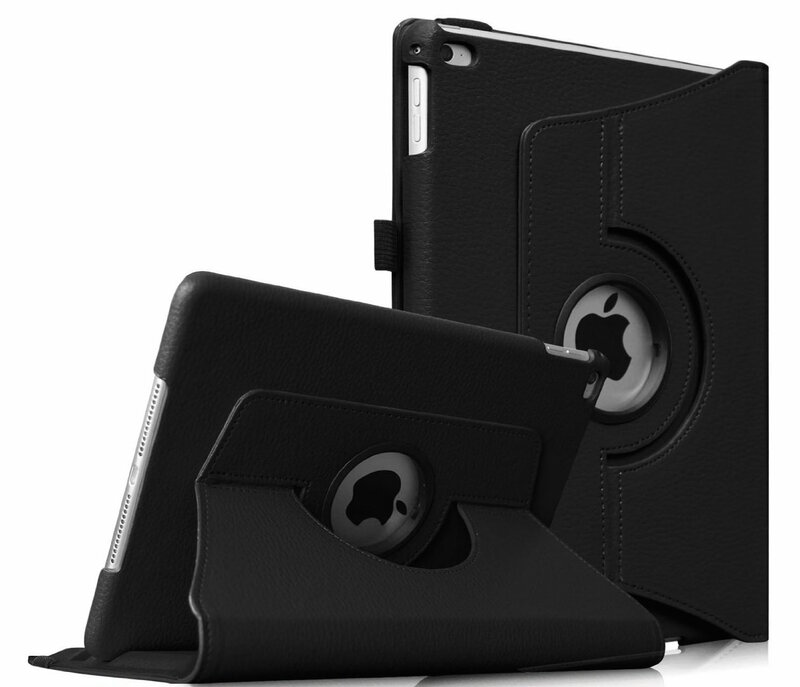 No more standing your case upright like a book, hoping your iPad won’t fall over. The exterior is made from faux leather. So, vegans can look stylish without selling out their animal friends. 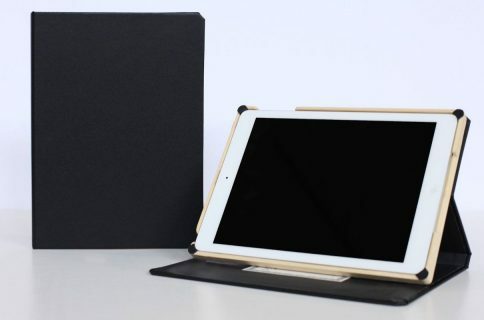 The interior is made from a hard plastic cover with a soft liner to protect and secure the iPad. When closed, the case looks like an executive folio (unless you go for a bright color, in which case it looks more like a college notebook). There is an elastic band that wraps around the closed case to keep it from flopping open while you walk around. Inside, the iPad Air 2 snaps snugly into place with a fitted hard shell backing, which is anchored to a rotation device. Flip the tablet between portrait and landscape, and rest it into one of two different grooves on the opposite side. The extra-deep grooves serve to hold the iPad Air 2 in place in an upright or slightly tilted angle. All ports and controls are exposed through either cutaway design or holes, including the camera and back-facing microphone. So, you are not trying to fit an iPad Air 2 model with a first-generation iPad Air case. The case comes in about three-dozen different colors, including a few patterns and two different embossed designs for between $14.99 and $17.99. 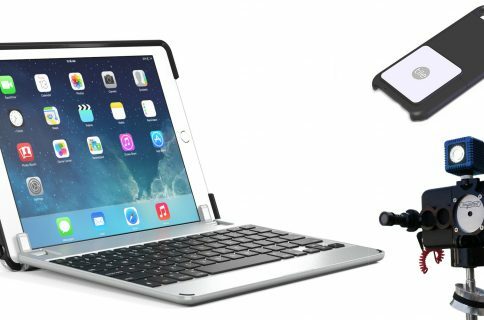 There is also a version of the rotating folio with a keyboard attached for $34.99. You can find the entire selection on Amazon, where it is rated 4.5 stars from 980 customer reviews. 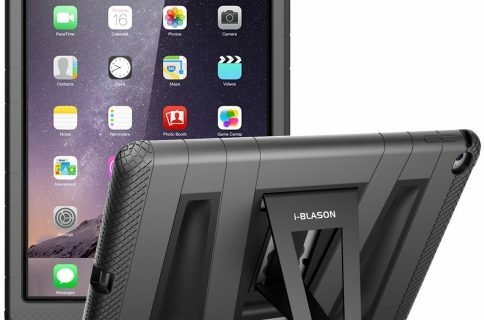 What do you think of this low-cost iPad Air 2 case? Let us know in the comments below.